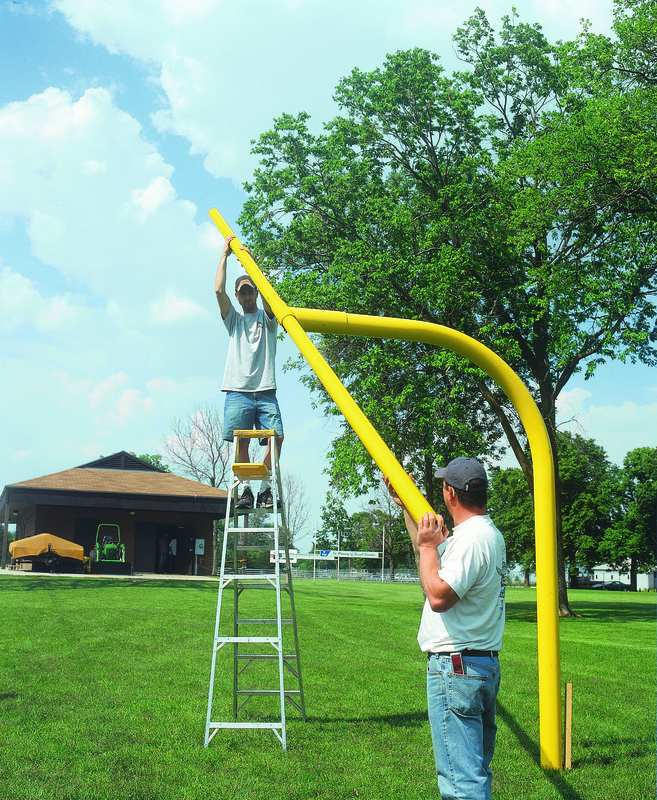 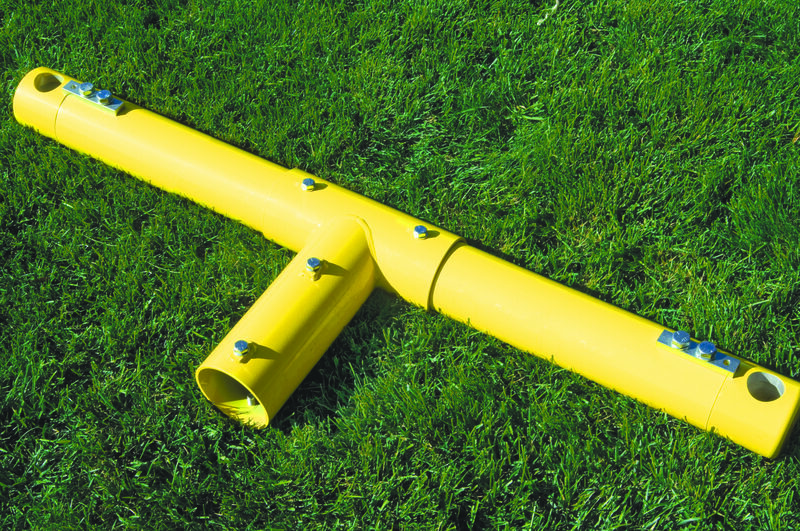 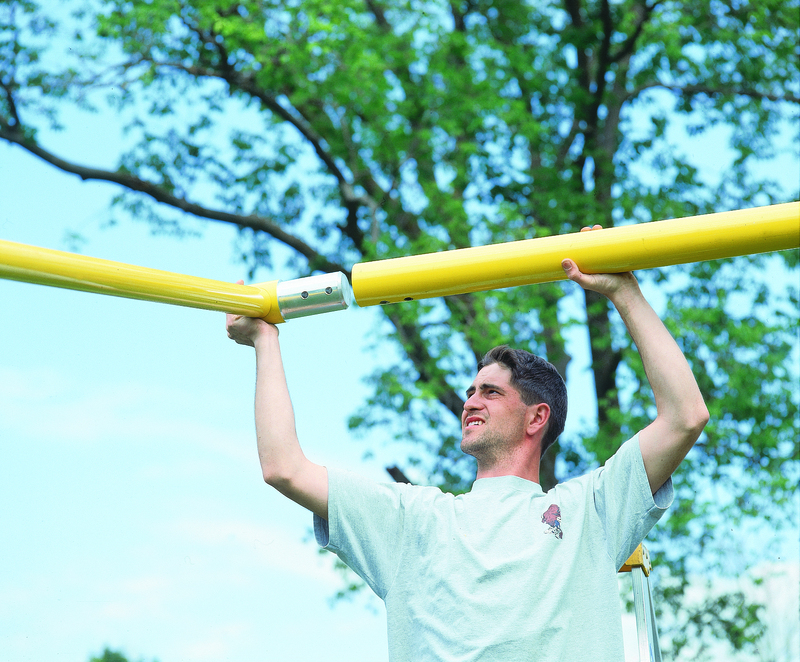 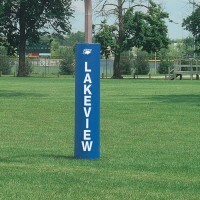 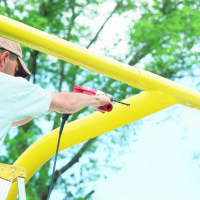 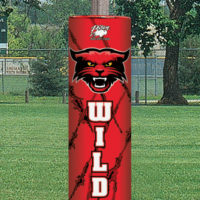 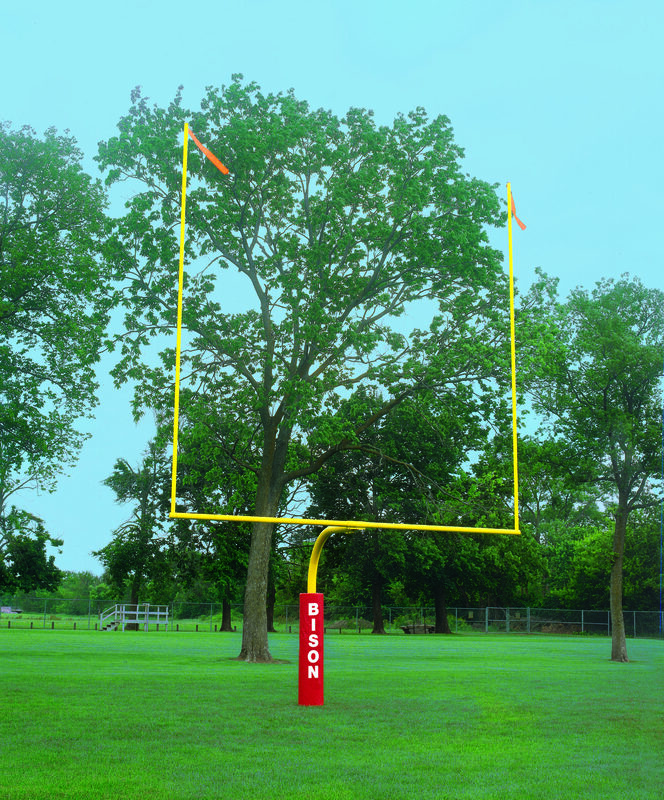 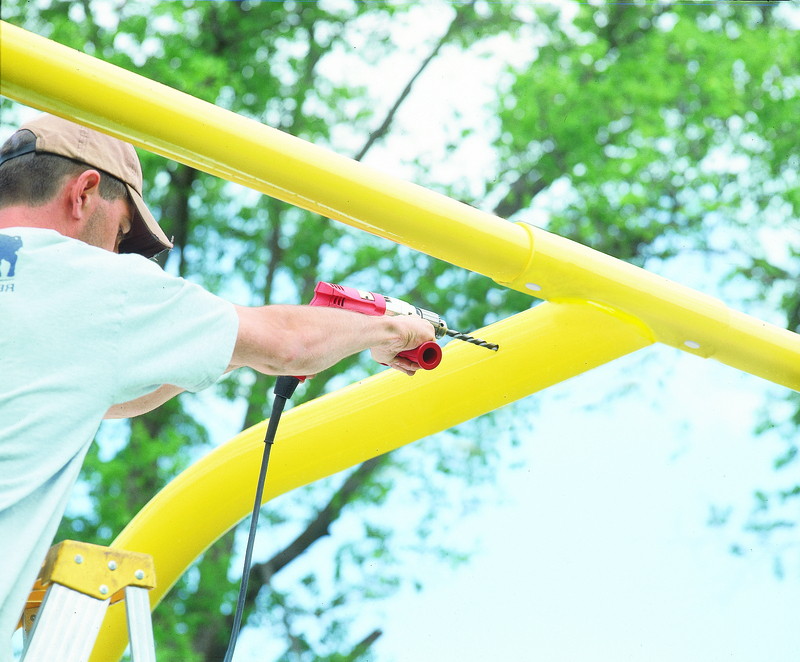 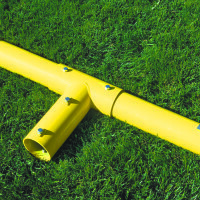 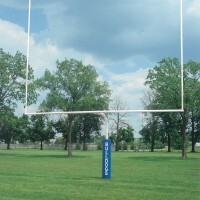 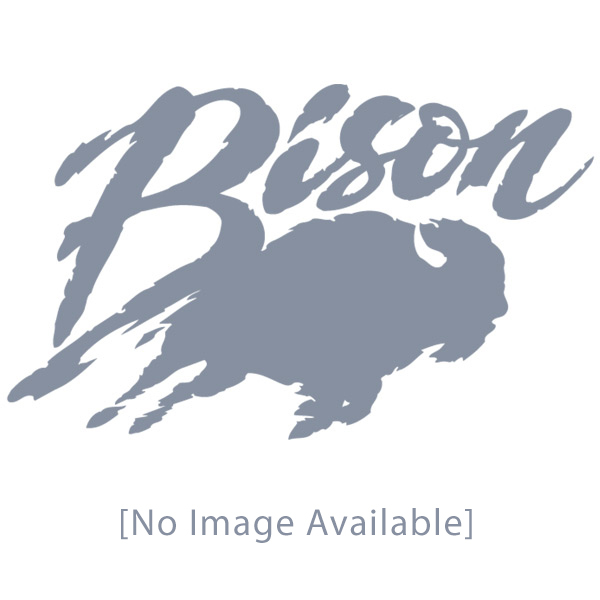 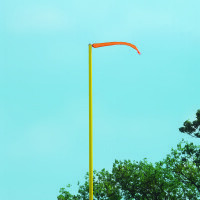 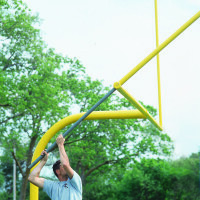 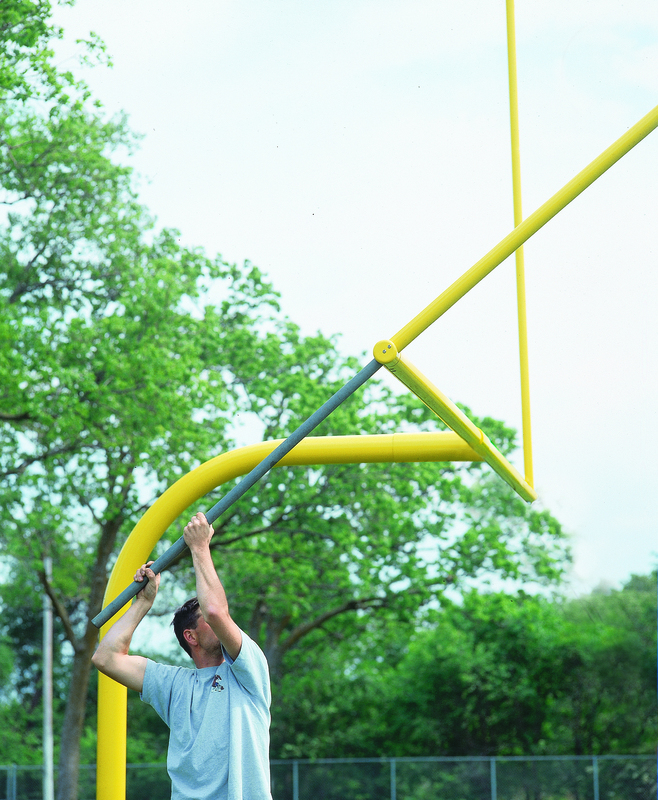 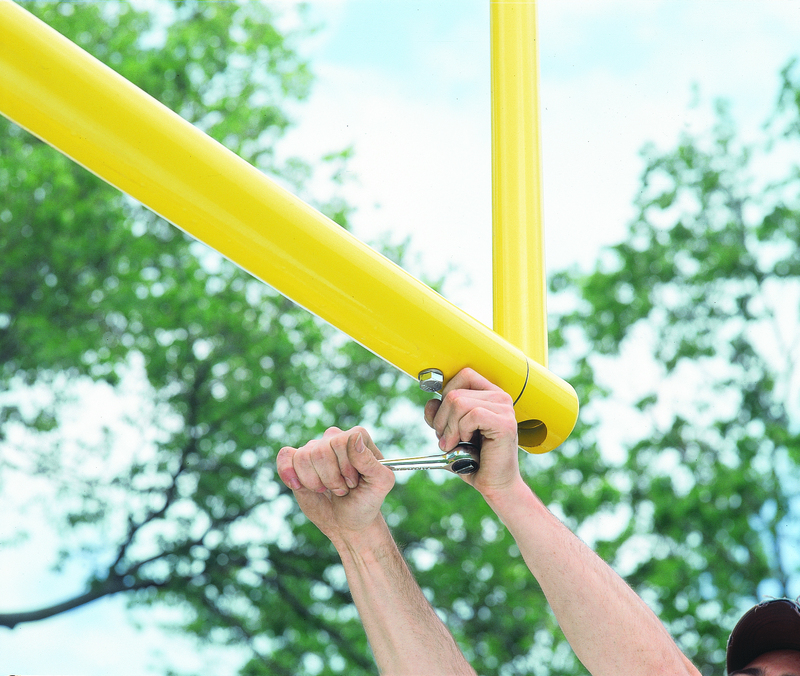 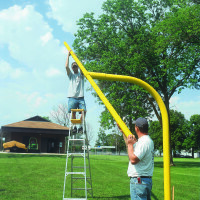 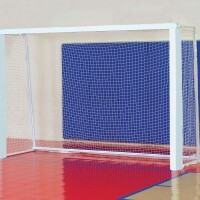 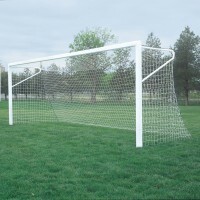 5-9/16" Gooseneck Football Goalposts - Bison, Inc. 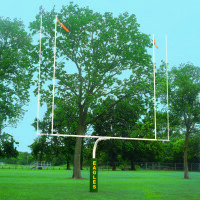 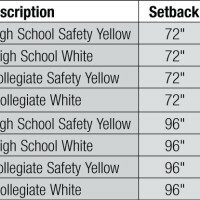 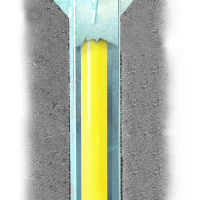 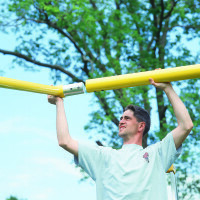 These are the heaviest Bison goalposts…Choose 96″ or 72″ setback • 48″ ground bury • 5-9/16″ O.D. 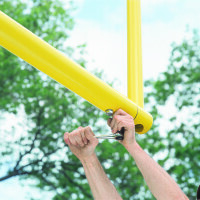 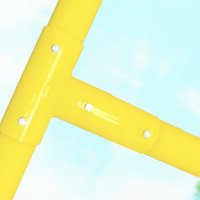 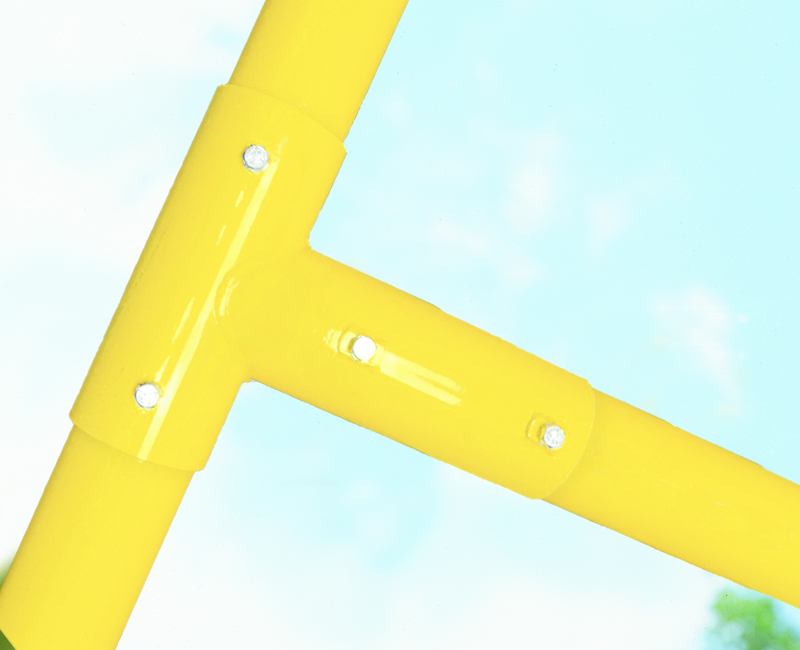 schedule 40 pipe is bent then powder coated • All Bison gooseneck goalposts feature Bison’s exclusive PerfectGoal design for precise vertical and horizontal alignment and uncommon ease of installation • 4-1/2″ steel tube crossbar and 20′ long, 2-3/8″ diameter aluminum uprights • Order FB10EXT to increase upright height from 20′ to 30′ • Use with FB55S ground sleeves if desired • Ships in four pieces plus hardware per goal • Sold in pairs but available individually. 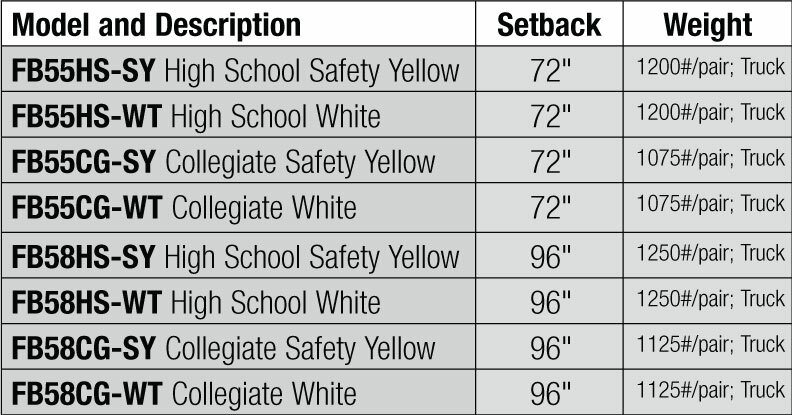 See chart for approximate shipping weights.